Torn covers, hazed windows or ugly, out-of-date interiors? 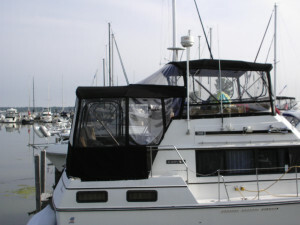 R-Custom Fabric Products can give your boat that like-new look again. Stratoglass, screens and entryways where you want them, designed for easy entry and exit.